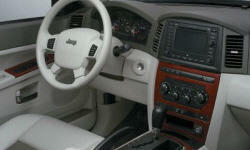 Why the 2005 Jeep Grand Cherokee? 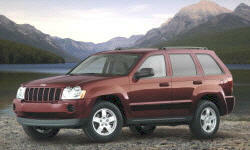 Why Not the 2005 Jeep Grand Cherokee? pinion seal failed at 46,000 miles. Replaced at 47,000 with differential fluid change. Pinion bearing and u-joint failed at 52,000. U-joint is machine pressed so to replace the u-joint, whole driveshaft had to be replaced. See above, pinion seal, pinion bearing, and u-joint/driveshaft had to be replaced at 52,000 miles. Never got above 18 MPG on highway driving. Dealer was cordial but they know nothing about customer service as they know there were some parts that failed but they were not going to back them at all.